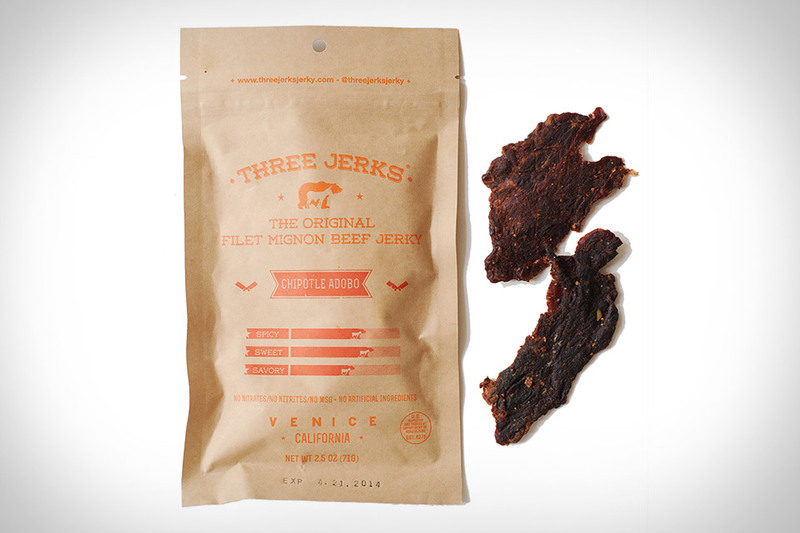 We don't know if they're actually jerks, but we do know the team behind Three Jerks Beef Jerky makes a damn tasty snack. Starting with tender filet mignon and using nothing but natural flavors and ingredients, they offer three flavors — original, Memphis BBQ, and chipotle adobo — that are all equally satisfying in their own way. Great as a healthy snack, to wash down with a cold beer, or to fight off hunger when you're out on the field/course/trail. Anyone who's ever baked a batch of cookies from scratch knows that chomping on the dough is one of the best parts of the process. Now you can skip the whole baking thing and get right to munching with Edoughble. These jars of ready to eat cookie dough are made with quality ingredients, without using preservatives, artificial flavors, or eggs, and are available in several classic flavors, including chocolate chip, birthday cake, s'mores, PB&J, and cookies n' cream. Add a kick to your morning routine with Bees Knees Spicy Honey. Handmade in Brooklyn using raw honey from the Hudson Valley and a combination of chili peppers, each batch is carefully cool-infused, so it retains all the benefits of pure, unprocessed honey while offering just the right blend of flavors. It comes in 8 oz. bottles, pairs well with a surprisingly large number of foods, and comes with a Sting-Free guarantee: if you don't like it, they'll take care of you, and not in a scary mobster kind of way. It might not contain any real bacon, but that's not going to stop us from devouring some Bacon Mustard. This gourmet sauce starts as a special recipe yellow mustard, which is mixed with ground brown mustard seeds, bacon flavored syrup, and a bacon concentrate. The finished product is a sweet/hot/smoky condiment that's great for cooking, as well as on top of anything that would normally be seeing the tip of a yellow French's bottle. We're not sure how well it'd mix with our all-time favorite jelly accompaniment — peanut butter — but if you're looking to add a little beer flavor to your food, it's hard to beat Potlicker Beer Jelly. Available in a variety of flavors and made from beers sourced from no less than six Vermont-based craft breweries, this unique treat is ideal for pairing with cheese, spreading on crusty bread, or using to glaze any meat that calls for a good mix of savory and sweet.